First off, how much is “enough”? If you’re not 100% sure, see this post. You don’t need a lot of traffic to improve your conversions. No, no snake oil here. 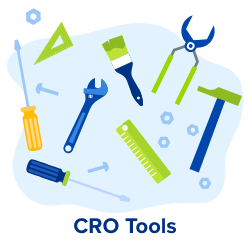 I’m going to talk about something every professional CRO does first. The first thing they do when they get a new client is to look for quick wins. For low hanging fruits. You can do the same and optimize your landing page, website or blog… with the power of neuromarketing. That’s not revolutionary. It’s not even new. In fact, it’s 2,000 years old. If it’s news to you, here’s neuromarketing in a nutshell: It’s about leveraging a set of brain “shortcuts” we all use unconsciously. These shortcuts are also known as cognitive biases. If neuromarketing’s been around for 2,000 years, I’ll bet my cat it’s effective. OK, now that you’ve had your daily cute cat gif, let’s get down to serious business. Or like… real quick. Because all it takes is making some small changes on your website. The Halo Effect states that a person’s positive qualities and good looks affect how we judge their character. The better someone looks, the more friendly he or she is, the more likely we are to think they are… smart and capable, for example. I feel stupid even writing this. It sounds ridiculous. But it is how our brains operate. It’s not something we do on a conscious level (which is why it’s powerful). It turns out the Halo Effect extends beyond people matters. It also kicks in when we’re buying things. This means the “halo” of someone (or something) your audience likes and trusts can spill over your products and services. When you’re thinking about the Halo Effect, think about how you can create a mental connection between your product or brand and a famous person, product or brand your audience already loves. Here’s an example from one of my clients, online entrepreneur Dave Chesson, who created a tool for book marketing research called KDPRocket. Dave is amazing at book marketing research. He’s very popular in the niche. But he also knows it’s always a good idea to have a few famous people endorse your product. So, Dave got the influencers in his niche to review KDPRocket. Now, if you’re a self-published book author who’s thinking about using KDPRocket versus similar tools, you’d look at this landing page and you’d see that Jeff Goins is using this tool. Jeff Goins is huge in the self-publishing world. Your trust meter will quickly move into the green zone. Do you know who Michael Port is? He’s a big deal in the consulting world because he wrote this great book called “Book Yourself Solid”. If you’re a consultant or wanting to be one, that’s a highly recommended read. Anyhoo, Mr. Port also created a coaching program to… coach consultants who coach other consultants on how to be consultants (this is deeply satisfying to type). So, if you want to coach consultants on how to be consultants, how can you make sure you get clients quickly? You can become a Book Yourself Solid® certified coach and bathe in this brand’s halo. It will make you look credible immediately. You know the expression “hop on the bandwagon”, right? Well, guess what the Bandwagon Effect means. Yep, it’s related to our deeply ingrained herd behavior. We need to identify with something — a tribe, a religion, a nationality. And when we rebel against all that, we just form a different type of identification: We identify as rebels. So, there’s no escaping this cognitive bias. We need to identify. We need to belong. We need to be on some bandwagon. The bigger it is, the more people it attracts. Make sure you know who your ideal customer is. Make people identify with this persona. Then show them how popular your product or service is among people like them. You can also make them feel part of a special group or a privileged society. Or ask them to join an exclusive club. Let me treat you with a landing page that went mannequin-challenge-viral. The guys at Harry’s, an online razor brand, used it to generate 100,000 email leads for their product launch. This landing page uses the Bandwagon Effect to create a sense of exclusivity. The copy tells you there’s some exclusive club. The people inside this club are going to get something related to razors that “respects the wallet”. If you identify with the target customer (which here translates to “if you’re male”), you’ll want to hop on the bandwagon and be part of this exclusive club. People flock where other people already are. That’s the real reason why you’d ever even consider buying 5,000 Facebook likes. (Though, please DO NOT do that!) Getting your friends to write the first few reviews or like your photos is way up on the ethics scale. If you do have customers, make it obvious how popular your product is. Amazon is a good example. One of the first things you see when you browse a book’s landing page is the rating and the number of reviews. Now, here’s a question for you: Can you do something like this on your website? Besides rating, you can also boast number of downloads, social media followers, email subscribers, countries you operate in. Anything that shows how big your bandwagon is. And remember that it’s always a good idea to prove your claims or at least to be honest. 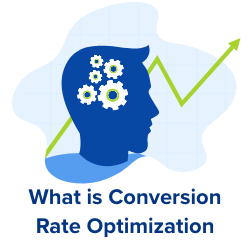 You can improve your conversions even if you don’t have enough traffic to A/B test. However, this does NOT rule out A/B testing. The human brain doesn’t really “think straight”. It uses shortcuts on a subconscious level. These shortcuts are called cognitive biases. Neuromarketing uses cognitive biases to influence. Learn the biases and start using them. Nothing fancy about it. And it’s very powerful. The Halo Effect. Famous people and brands have a halo. Think about someone or something who already has a halo. Create a mental connection between them and your products or services. The Bandwagon Effect. People like to be in a tribe. They like to belong. 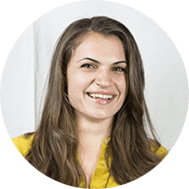 Think of ways you can show how many other people are using your product, create an exclusive club, create cool badges they can wear, create cute cat gifs they can share. Ok, so you’ve decided that you want to apply neuromarketing to your website, but how do you actually go about doing this? Convertize! 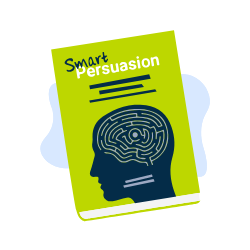 This software offers its users access to 250 tactics, all of which are based upon neuromarketing research — such as the ‘Bandwagon Effect’ and the ‘Halo Effect’. Convertize will analyse your website and use its library of neuromarketing tactics to suggest specific improvements for your website — this is important as each website is different and what works for one may not work for yours. 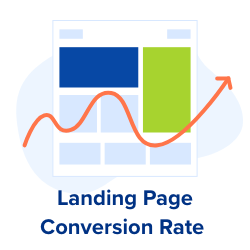 These tactics can then be implemented and A/B tested at the click of a button — and after receiving your results, you can permanently include the tactics on your website. 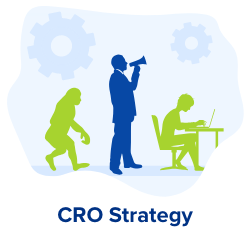 Our CRO experts regularly publish their research.